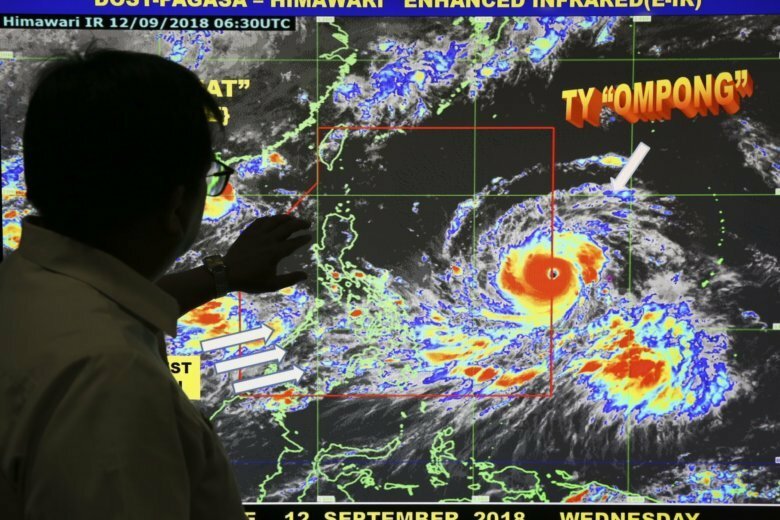 MANILA, Philippines (AP) — Philippine authorities were evacuating thousands of people from the path of the most powerful typhoon this year, closing schools, readying bulldozers for landslides and placing rescuers and troops on full alert in the country’s north. Philippine Office of Civil Defense chief Ricardo Jalad told an emergency meeting led by President Rodrigo Duterte that about 4.2 million people in Cagayan, nearby Isabela province and outlying regions are vulnerable to the most destructive effects near the typhoon’s 125-kilometer (77-mile) -wide eye. Nearly 48,000 houses in those high-risk areas are made of light materials and vulnerable to Mangkhut’s ferocious winds. “The weather here is still good but we’re moving them now because it’s very important that when it comes, people will be away from peril,” Mamba said. A change in the typhoon’s track prompted authorities to rapidly reassess where to redeploy emergency teams and supplies, Mamba said.